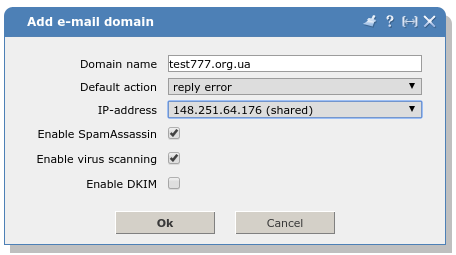 where test777.org.ua – your domain. Then click on “OK” and the e-mail domain is created. Name – enter the name for the mailbox. This is the part of the e-mail address before the @ sign. You can use letters, digits and the – and . signs. 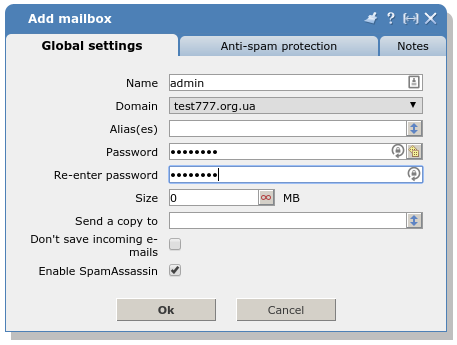 Domain – select the domain name for this mailbox. Alias(es) – enter the name of the alias(es) that you want to add for this mailbox. You can add unlimited number of aliases, space separated. 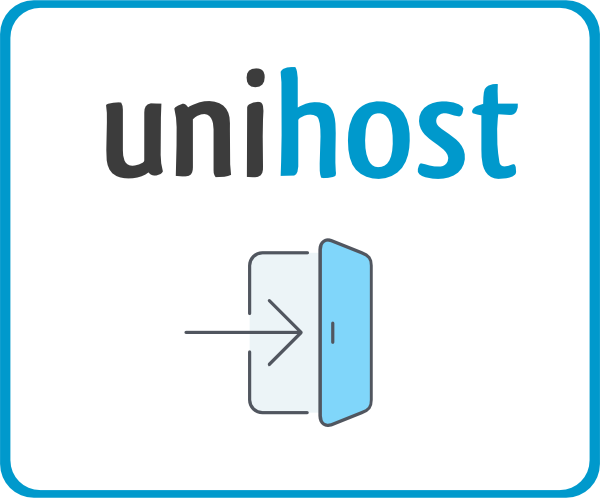 Password – provide the password to access the mailbox. Re-enter password – retype the password to ensure that it has been entered correctly. Size – enter the maximum amount of disk space that can be used by this mailbox. If you want to limit mailbox by its measure you should input the numerical limitation in Mb to the field “maximum size” (0 Mb – no limit). Send a copy to – enter the e-mail address where all incoming e-mail messages will be forwarded to. You can add unlimited e-mail addresses, space separated. Don’t save incoming e-mails – check the box if you do not want to save received e-mail messages in this mailbox. This option can only be used when forwarding is active. Click “ОК” – and your mailbox is created.